And the youngsters aged 13 to 19 who turned out in full uniform were well rewarded for their efforts at the checkouts by grateful shoppers. The squadron provides ongoing charitable support every year for among others the annual Poppy and Royal Air Force Association Wings Appeals’. But the bag packs were an opportunity for the cadets to raise much needed cash for themselves. The squadron’s commanding officer, Flight Lieutenant Dan Laidler, said: “It is not widely known that the Air Cadets Organisation is a registered charity. Although the Ministry of Defence funds certain activities such as shooting, gliding and flying almost all our other costs at squadron level have to be met from our own resources. “As such we are always looking for new ways to raise money to help fund our other educational and adventure activities. “We would like to thank Morrisons and their customers for their generosity and support. We appreciate that so many people allowed our cadets to help out and were willing to offer a payment in return. Flt Lt Laidler added that the bag packs had also positively helped raise the profile of 346 (Tynemouth) Squadron and air cadets in general. “Teenagers often get a bad press these days, but many shoppers complimented the cadets on their courtesy and appearance which was very gratifying. We pride ourselves on giving our cadets the chance to engage positively with both school life and the local community. Civilian Welfare Committee members and squadron staff assisted as the cadets helped bag up the groceries in shifts. 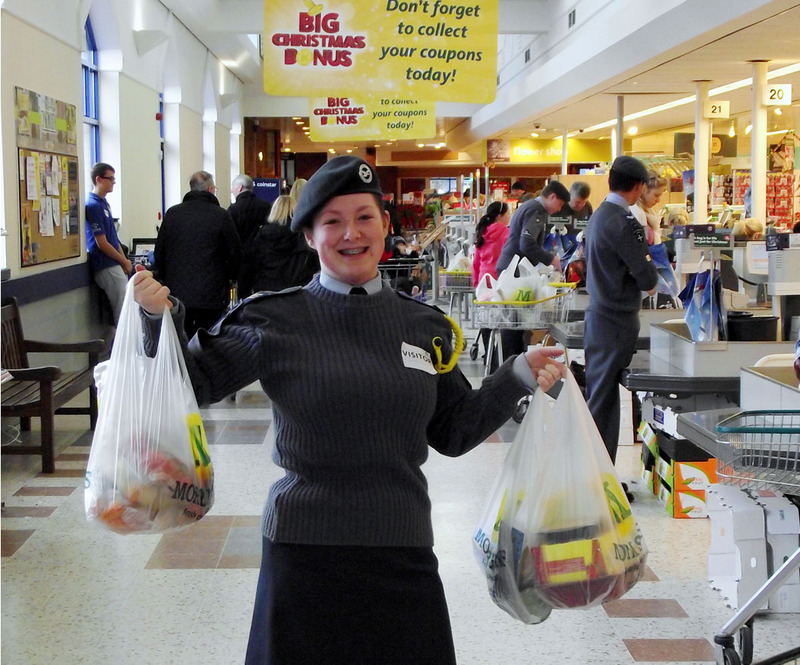 The cadets will be back at the Morrisons store participating in a three day bag pack for the squadron between December 22- 24 when they will hopefully help take some of the inevitable pressure off Christmas shoppers. The squadron meets twice a week on Tuesdays and Fridays at its headquarters in Military Road, North Shields, and runs a full calendar of community and other activities. New recruits are welcomed and are issued with a free uniform and can even get a Btec if they do academic training with the squadron.